My little world of words! Women and Empowerment always go hand in hand. My Facebook Page “Empower yourself” speaks about the same. It is last year that I started my project “Empower yourself with the help of Karate” for girls and women of various schools and colleges of Hubli. I was always thinking that I should start something else to empower women through my blog or this page. So here I am starting a new project called “Women in my life” And it is not the project where I am going and meeting someone and guiding them or helping them. In fact it is the project where I am introducing those powerful women whom I met in my life or who are part of my life. Through my writing about them, I want to empower you all to follow your dreams. It just happened that when I saw this lady and her growth and her achievements, I decided to write about her. So, I would like to welcome you all to visit my blog and Facebook page to read about my first interview with our first empowered lady. A very special friend I have in my life. I know her since 20 years. But met her only three or four times in all these years. Strange, but this has not affected our friendship. Thanks to the new technology(Facebook and Whats app) that we are in touch with each other and know about each other. What’s special about her that she can empower us all? Many things. She is a goal setter and go getter. She completed her MBA and CCA after the marriage. She is a great cook. She takes orders for cakes too. Her biggest achievement is she is a MARATHON RUNNER. 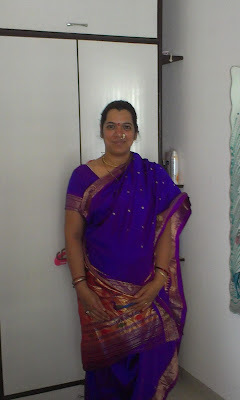 My name is Bhavana Pujar, daughter of Bharati and Balbhim Hukkeri, from Hukkeri of Belgaum district, Karnataka. I have three siblings. I am Married to Chidambar Pujar. I have two amazing kids. Nidhi and Amedh. My father is my inspiration. He is fond of gardening and even I used to spend my Sundays in garden with him. He used to take me for long walk in the evenings which I always enjoyed. I always followed his path of being physically active. Even at this age, he goes for daily walk, does his yoga, he eats only home cooked food. Like any mother in the world, my mom cooks delicious food. Now also whenever I go to mom’s place, she serves us the tastiest food. I used to get angry on her when she would tell me to do household chores, but after my marriage I know how right she was. Now coming to my this recent dream or goal : I was 75 kilos when I came back to India from Qatar in the year 2009. In 2012, I came to know that am having problem in uterus. As per doctor’s advise I went through an open surgery.. After that I thought my weight and health are playing with me. In 2013 March exactly one year after my surgery, my son started swimming. I used to sit there for an hour. Suddenly it stuck to me that instead of sitting wasting time while waiting for him, why shouldn’t I too join him. And I consulted my gynecologist and she gave me the permission. I was very scared of water but wanted to do something about my health, so learnt swimming and now I am perfect in 4 types of strokes and can swim 1000mtrs in 40 mins. Still my weight was the same, but was feeling healthy. 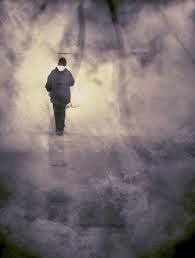 I started walking too but in vain. I was very upset. Sweet family, with son and daughter. In November 2012 we shifted to our own new house. Then again was busy in settling and arranging the things. Again the years were passing . one day my husband was reading the news paper and told me that there is marathon in the city. I was not aware of what the marathon is. And was very curious to know about what exactly is it? One of friend told me that her husband is participating in this marathon for 21kms. I told Chidu that I want to participate in the marathon and he agreed. I registered myself for 4kms dream run and started practicing daily. Chidu also started walking and jogging with me. We started with jogging. After some days we came to know that our shin bones were paining a lot. We consulted a Doctor and he said not to run daily and showed some stretching exercises. We followed all his directions. With her life partner Chidambar Pujar. At last, the Sunday 15th February 2015 arrived and I completed my first dream run. It took me 45 to 50 mins to complete the run. I received a medal and it was like proud moment for all of us because I was the first in our both families who ran in a marathon. I was so happy. From then we decided to run in marathons. We had a gym in our society. I started going to gym. After watching me for 8 days, our instructor, Sanjay sir helped me about where I am wrong how to correct. Seeing my marathon bag which I carried everyday, he asked me do I run for marathon? I told him that I just ran one dream run. Then gave me the details me about the marathon conducted by Thane municipal corporation called THANE VARSHA MARATHON. He told me to go for it and he will give me the training for that. When I shared with Chidu. He agreed and he too wanted to participate with me. Then the training started. In the beginning I felt like why did I took this decision to run. As days went I became comfortable with the exercises . I was doing weight / strength training , functional training and was running twice a week. Before we use to run up to 6kms then gradually increased the distance. My weight was coming down slowly but wanted to lose more . One day Sanjay sir told me to visit a dietician and gave me the number . I took an appointment and went. This was the first time I went to the dietician. Only after meeting her, I came to know how wrong our food intake is. she gave lot of information about the food and other things which we women always ignore. I stared my diet along with the activities and every week I stared loosing weight (600 to 700gms every week). No sugar, rice, bread, biscuits, no outside food for three months. Now I was feeling little light on my toe. In between we came to know that there is a run called Kranti Daud in Thane itself. For women 6kms and men 8.5kms. We registered on the spot and participated. It was very a good experience. I told this to Sanjay sir and he was also very happy. After this I got the confidence that I can run more than this. I started running 10kms once a week. 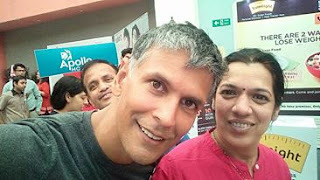 We both then registered for the THANE VARSHA MARATHON. For women it was 15kms and men 21kms. The day came 23rd August 2015. I was at the starting point and one guy came to me and introduced himself as Michel D’soza and told me that he saw me at kranti daud. He introduced me to Smita Lahigude. He was running 21kms. He was there with me till 13kms. I ran continuously till finishing line and completed the run in 1hr 50 mins and got the Medal. We had breakfast after the run at the venue. Chidu missed the medal that time but he was very happy for me. I was so proud of my achievement. After this Michel sent me the friend request on FB and I accepted. He told me to joint the running Groups on FB. I joined the groups and got connected with other running people on FB. After this I came to know the website YOUTOOCANRUN.COM and INDIAN MARATHONS CALENDAR. On these sites we can find the marathons happening in India. 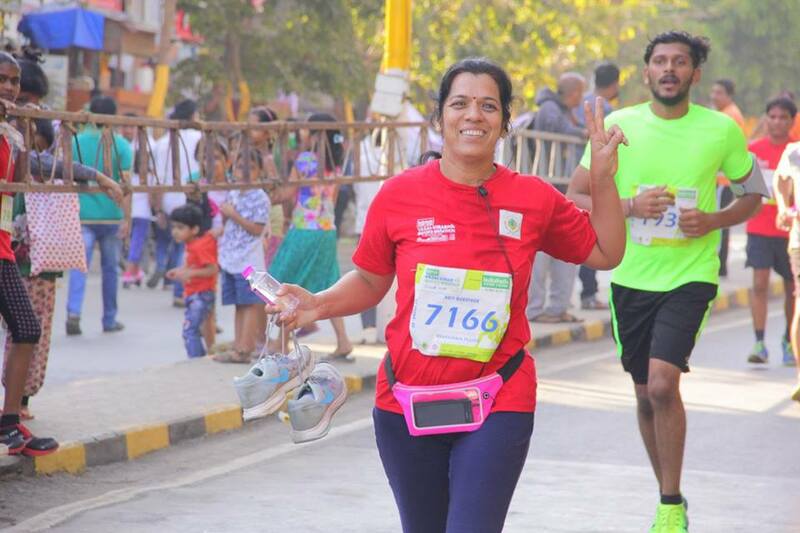 Then I registered for Half marathon at VASAI VIRAR MAYOR’S MARATHON. Again started doing more exercises and the weekly long run was now 15kms. 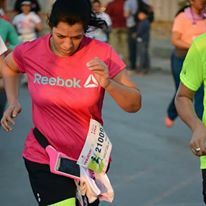 The marathon was happening on 22nd November 2015 and on that day my weight was 60kgs. First time I saw a huge crowd running and I ran with them. Arrangements were superb. I completed my first HM (half marathon) in 2hrs 33mins which is till date my personal best. I met Manasi Samudra my FB friend first time. We clicked the pictures. 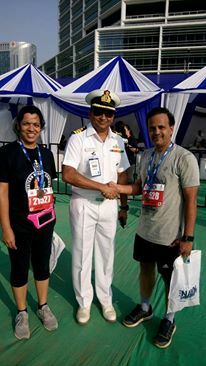 Chidu also completed the run in 2hrs 36 mins. ( December 29th 2015 our anniversary and I was happy that I came to my target weight 57kgs) After this took 3 to 4 days of rest and then started training for the biggest marathon that is STANDARD CHARTED MUMBAI MARATHON. This time chidu was not there with me. He and kids were there to cheer for me. But the organizers this time changed the route. It was very tough route but enjoyed the run. My sister and her family, my brother and his family met me after the run. We had a nice breakfast to celebrate the run. That was on January 17th 2016. 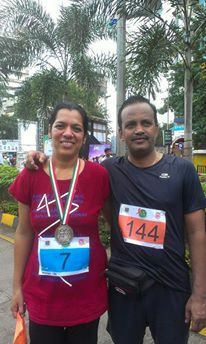 I am really proud of Bhavana who is an inspiration for many women, who think their life ends after they reach forty. She is a real empowered woman. God bless her with more and more success, health and more achievements. As I am writing this, she has participated in one more marathon. So without delaying presenting it in front of you all. I want to thank Bhavana for sharing her success story with me and giving me full rights to publish it in my blog. Love you always. ನಿನ್ನ ಪ್ರೀತಿಯ ತೊರೆ ಯಾವ ತೀರಕೋ. Abort Plastics!!! Save the Earth. People who think of me! Christmas Theme Party - The Greener way!